Office 365 Solutions, Cloud Service - Owings Mills, Randallstown, Milford Mill | RCI - Realistic Computing, Inc. The nature of today’s business world means it’s unlikely you spend your days only sat at your desk. Chances are you’re out on the road, in meetings or working remotely. Luckily, Microsoft Office solutions from RCI enable you to remain productive and focused on the job, no matter where your work takes you. 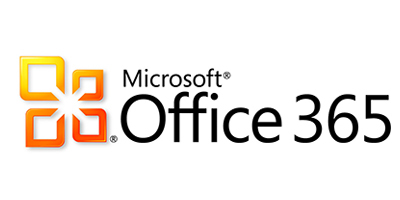 Office 365 gives you the benefit and comfort of using the world-famous, industry-leading Microsoft Office range of productivity applications you’ve long since come to know and love except turbo-charged with cloud power to deliver even greater results. Now it’s easier to collaborate and communicate - creating, editing and sharing documents across the full Office suite from any internet-enabled device. Microsoft Exchange Online provides the benefits of cloud-based email with the robust capabilities of an on-premises Microsoft Exchange server for anywhere access to data. Microsoft SharePoint Online provides a Microsoft Office 365 service for businesses of all sizes, helping your customers share documents and work together more efficiently. Microsoft Skype for Business is a communications and collaboration platform that brings together the familiar experience and user love of Skype with the security, compliance, and control that customers expect from Microsoft.